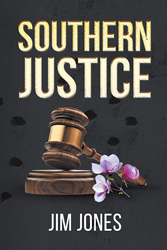 Recent release “Southern Justice” from Page Publishing author Jim Jones a phenomenal tale that follows the main character, George Walker Guice, as his life narrates the truth to Southern Justice. Jim Jones, a retired deputy chief, graduate of the FBI National Academy, metal detecting and genealogy enthusiast, devoted writer and author, has completed his new book “Southern Justice.” Based on true events, this story follows the short adult life of George Walker Guice and shows that Southern justice often has a way of working itself out. Published by New York City-based Page Publishing, Jim Jones’ profound work begins in 1879, Franklin County, Mississippi, George Walker Guice’s seemingly normal life is forever altered as he quickly takes center stage in a feud with the neighboring Hawley family. The feud, which will end on the busy streets of Natchez, Mississippi, in 1881, quickly turns violent. Between 1879 and 1883, a very young George W. Guice will be shot by his nemesis, retaliate against his adversary, face a murder trial, lose an appeal to the Mississippi Supreme Court, and surrender himself to the state penitentiary to serve a life sentence. Facing an unknown future, George Guice senses renewed life after receiving a pardon in 1886. With his newfound freedom, Guice gradually attempts to, once again, live an ordinary life. Before long, he finds work as a Jackson, Mississippi, police officer. For a time, it appears as if Guice has truly put his past behind him; however, that changes on January 14, 1893. On this day, Officers George Walker Guice and Percy Clifton Hines are directed to arrest two vagrants. While in the performance of their duty, a violent shoot-out occurs within earshot of city hall. When the gunfire stops, two men lay on the ground, fatally wounded. The following months produce two trials, an appeal to the Mississippi Supreme Court, and an unexpected twist for two young defendants. Readers who wish to experience this enthralling work can purchase “Southern Justice” at bookstores everywhere, or online at the Apple iTunes store, Kobo, Amazon, Google Play or Barnes and Noble.